A few years ago I was surfing the eBay auctions when suddenly one of the lots attracted my attention. 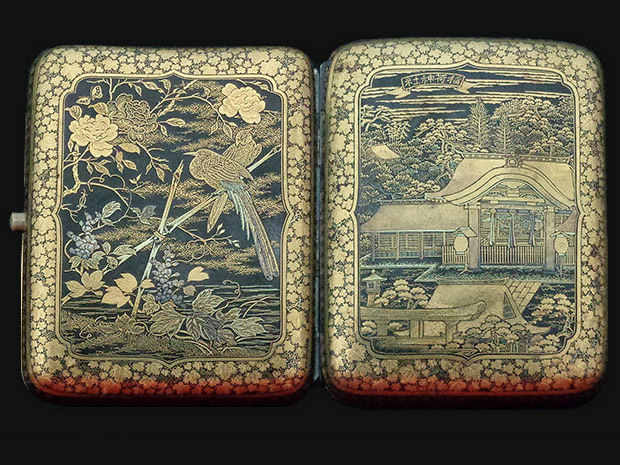 There was a stunning Japanese cigarette case for sale. Then I didn�t know yet it was made by Otojiro Komai in a Nunome Zogan technique, but it was so beautiful, that I was completely amazed and bought it. 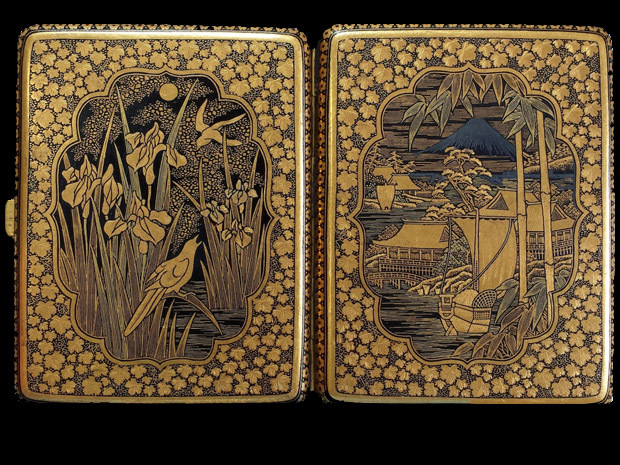 That�s how I started collecting Japanese cigarette cases from the Meiji era (and later from Taisho and Showa eras as well). By the time, I realized that there is so little information about these cases, especially their makers, that I started my own little research. 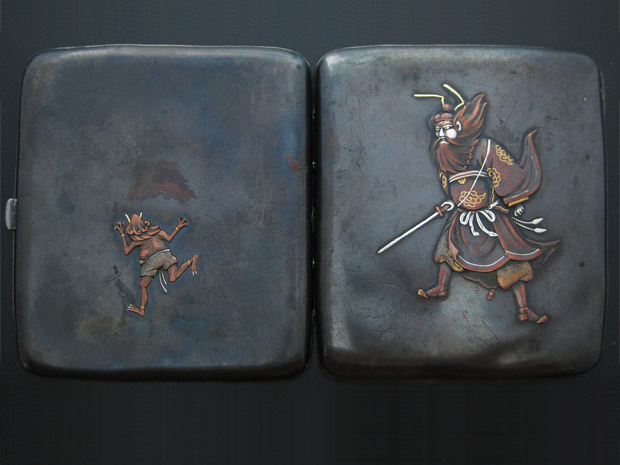 This site is dedicated to attribute different Japanese cigarette cases by maker�s marks engraved on them and is updated from time to time. At some moment I thought it will be useful to people that have such cases to know a little bit about artist who have created the piece they own without making a long time research and I decided to share the information I found so far. If you have information that is not provided here, It will be very appreciated if you can share it with me.